The recent Miss Universe Beauty Pageant brought into focus the sport of placing bets on pageants and pageant winners. In fact, this year’s pageant has seen more sports betting than ever before on who would win the contest, which was held December 16. The betting this year was more active than usual because of the entry of the first transgender contestant from Spain. In fact, the Spanish contestant was a heavy favorite. Gambling in beauty pageants has been going on for decades around the world, although it is only legal in certain areas of the world. The Miss America Pageant, which took place in Atlantic City for years, has been bet on since the 1950s – but not in Atlantic City. 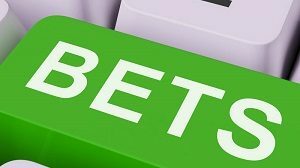 Atlantic City and the state of New Jersey did not legalize sports betting until June. Sports betting, which beauty pageants fall under, did not become legal in the United States until the Supreme Court overturned a 26-year-old law in May. The law barred states from offering single sports betting. Nevada was the only exception. 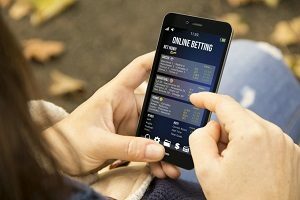 In other parts of the world, such as the UK, Australia, Canada and Western Europe, sports betting is legal. People also bet illegally on beauty pageants on websites and mobile apps worldwide. Experts estimate that the worldwide betting on beauty pageants, while smaller than sports bets, is still lucrative. For example, economists believe that the amount of money bet worldwide on the Miss Universe Pageant was in excess of $50 million dollars. The pageant itself is nearly 100 years old, although it has not run every year. Miss Universe began in the years immediately after the city of Galveston was devastated by a Category 5 Hurricane that killed thousands of people. As an effort to get tourists to come to the seaside town, Galveston sponsored the pageant until the Great Depression. It was reinvented in California after World War II. The pageant is seen by over half a billion people in 190 countries. Although the popularity of the pageant is on the wane in some countries, it remains very popular in Asia and Latin America. Angela Ponce, who is Miss Spain is transgender. She represented her country in the 2018 Miss Universe Pageant. Ponce became the clear favorite to win the tournament in +600. However, Miss Spain did not win the tournament, she did not make it to the final 20. Another initial favorite, Miss USA Sarah Rose Summers had odds of +2000 to win the competition. While she did make it to the final 20, she did not make it past the initial 20 finalists, most likely because she stirred up considerable controversy during the competition. She posted a video that made fun of two contestants from Asia, because they didn’t know much English. Her post on Instagram led to a considerable backlash. While Summers did apologize, pageant experts believe that her criticism of non-English speakers dampened her chances of victory. The longshot bet was for Miss Mauritius, which is a small island off the coast of Africa in the Indian Ocean. The odds of Urvashee Gooriah winning the pageant were +20,000. For people who placed their bets on Miss Mauritius, they did not recoup their bets, as she also failed to make the final 20. The winner of the pageant was Miss Philippines, Catriona Gray. Her odds of winning the pageant were set at +750, and she was considered a favorite to win the pageant. This was not a difficult bet, as the Philippines have had five previous winners. There is intense interest in the Philippines for beauty pageants, and they are treated and bet on like a sporting event.